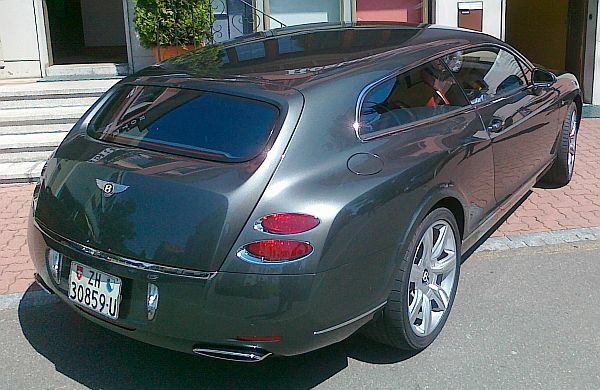 At the 2010 Motor Show of Geneva (Switzerland), Touring Superleggera showed a shooting-brake-version of the Bentley Continental GT. Touring Superleggera is the rebirth of Carrozzeria Touring, a coachbuilding company that existed from 1928 to 1966. 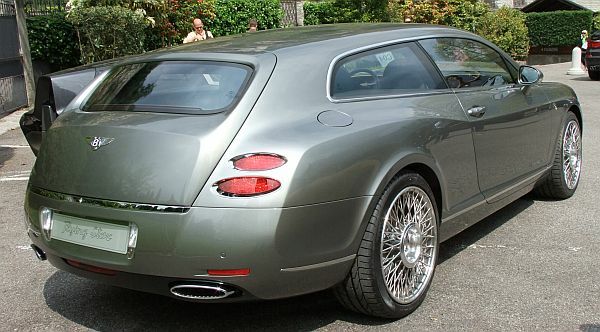 The last car, that left the original company was a shooting brake, based on a Lamborghini chassis, and was called Flying Star II. 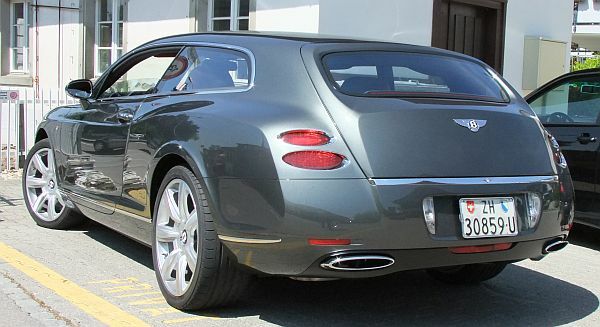 Touring was most famous for their Superleggera bodies, which were fitted on Aston-Martin, Maserati, Ferrari, Alfa-Romeo, Lancia, and some other chassis. so it's no coincidence that you can find wire-wheels on creations of Carrozzeria Touring. The first car, created by the new company was a sports-wagon, based on the Maserati Quattroporte, named Maserati Bellagio. Zeta Europe is owned by the D'Ieteren family, a name that is well known in the coachbuilding business. later, they built carriages, and that was followed by building special bodies for chassis that came from Isotta-Fraschini, and other luxury makes. but they are also in the car-rental business (Avis), and shops for replacing car-windshields (Carglass). 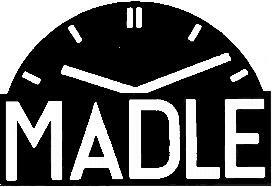 After WWII, they even produced VW, and Studebaker in Belgium. 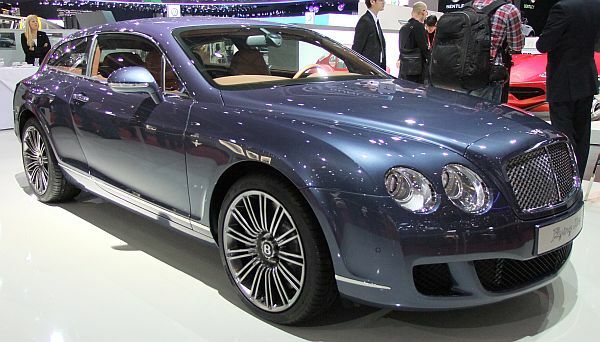 and in reality, it's not a Continental GT Coupe that is rebodied. because this model already has some additional reforcements integrated in the bodywork. 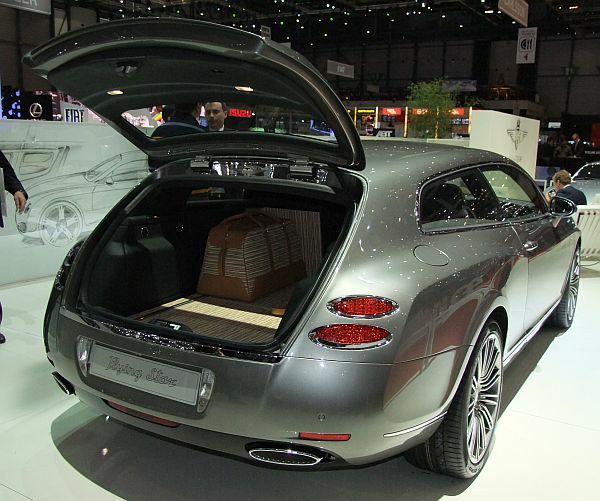 The door panels, and the trunk-lid are made out of aluminium. 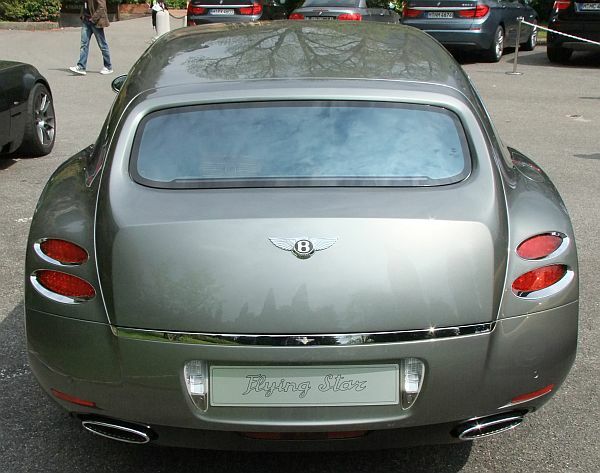 At the 2010 Concorso D'Eleganza Villa D'Este, the car was shown, again, now with Borrani-wheels. 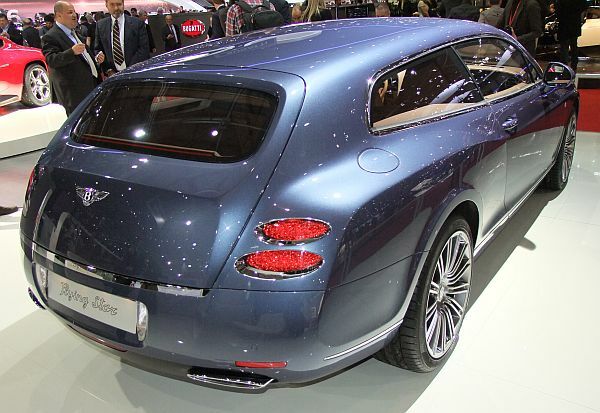 Touring wants to create a limited series of Flying Stars, not more than 19 cars..., each showing a price tag of about 700,000 Euro! 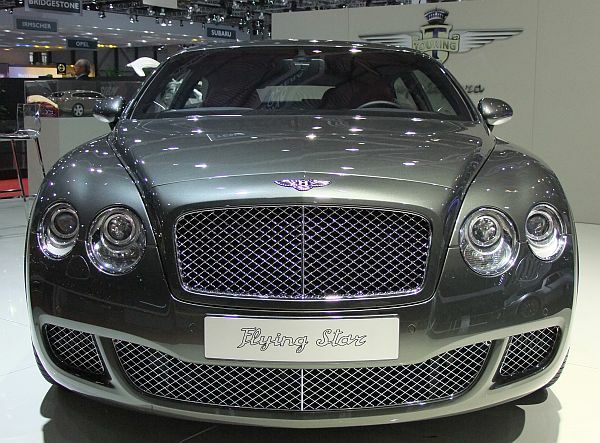 At the 2011 Motor Show of Geneva, Touring presented the Flying Star, again. If you have a close look, you can see that it is a different car! 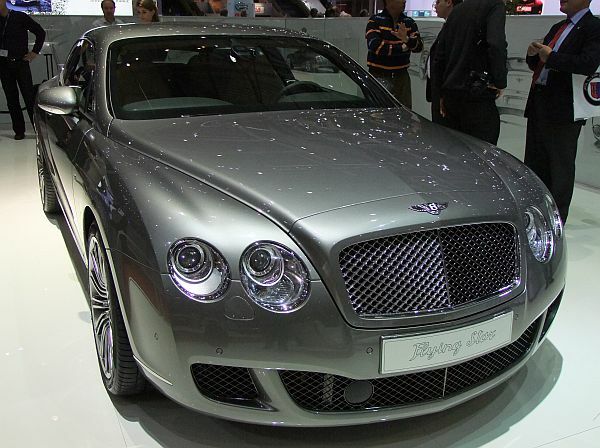 Based on the standard GTC, with "only" 570hp, and showing some differences to the first version. 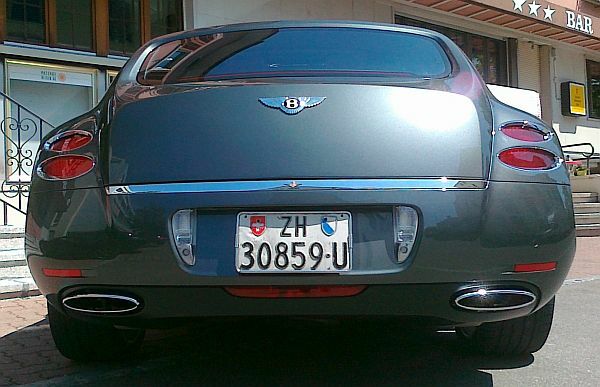 In May 2011, I spotted that car on the road, now with standard wheels, not the Borrani-wheels anymore. 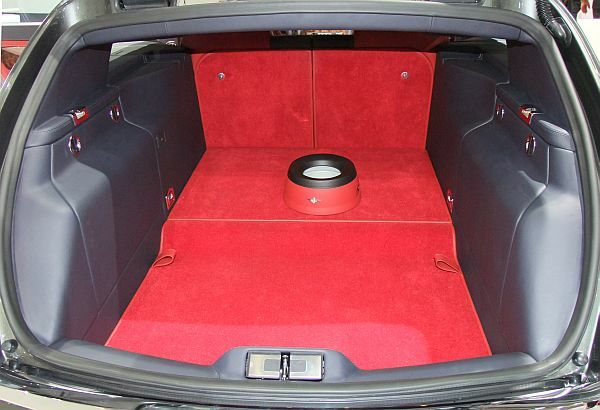 The exterior color is almost the same, like on the first car, so the interior color will help to identify the car. 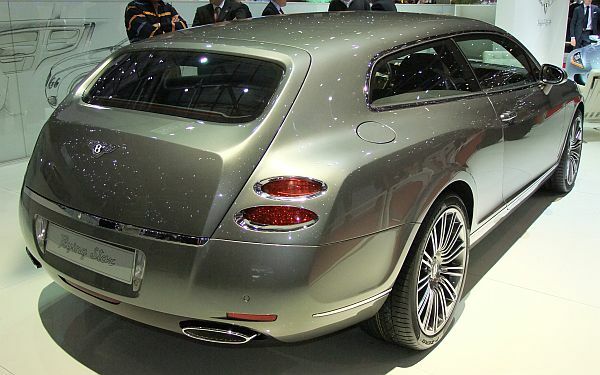 The design is phantastic, only car enthusiasts will recognise that this is a special bodied Bentley. 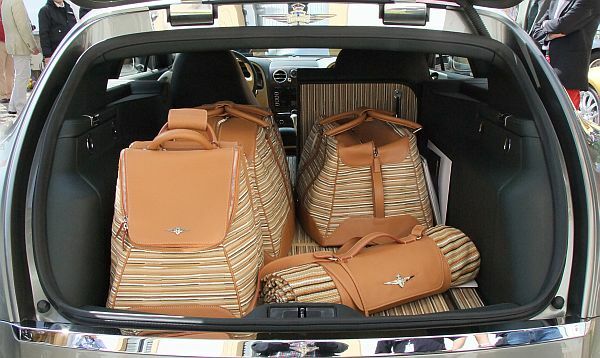 The rear compartment of the second Flying Star is different, the bottom of the trunk is not one surface, so there is a little more room. 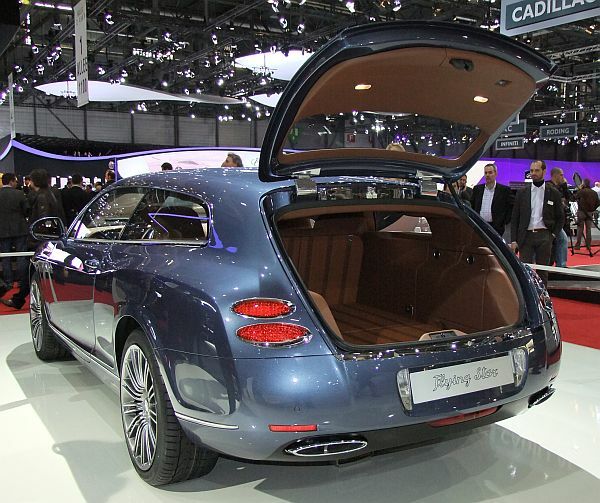 At the Geneva Motor Show, Touring showed a feeding-dish, so the buyer perhaps has some dogs to carry in the trunk. 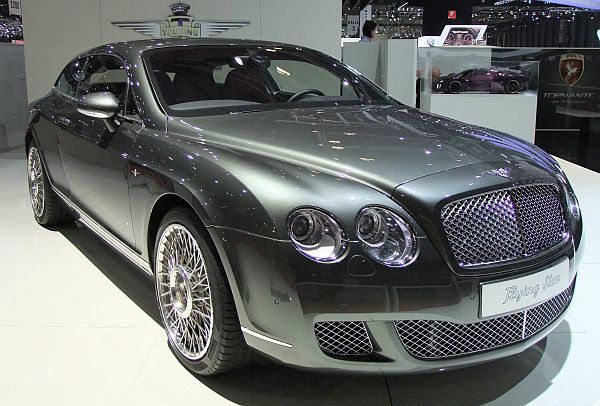 Another car, fourth of the series, was shown at the 2012 Geneva Motor Show. The third one is red, and was shown on a photo at the stand. I heard it was sold to the Emirates. 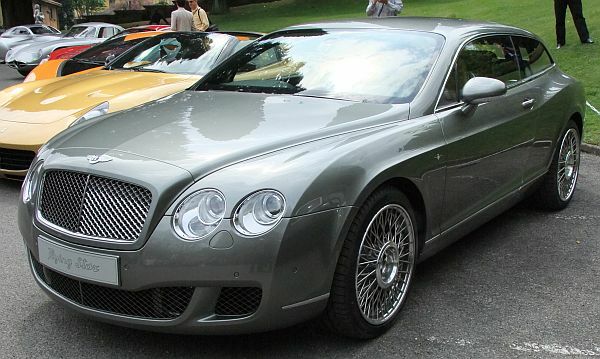 Time will show, if there will be some additional Shooting Break, based on the Bentley Continental GT.